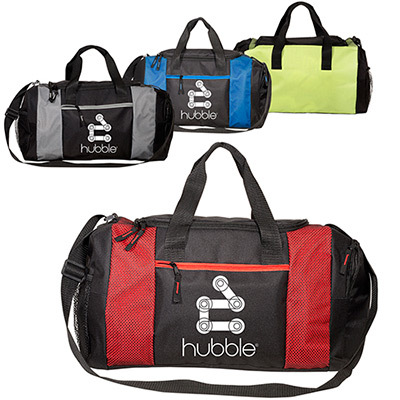 The promotional Weekender Deluxe Duffel Bag is a great addition to your marketing arsenal! Zippered main compartment. Front-zippered media pocket with earbud port. Front mesh pocket. 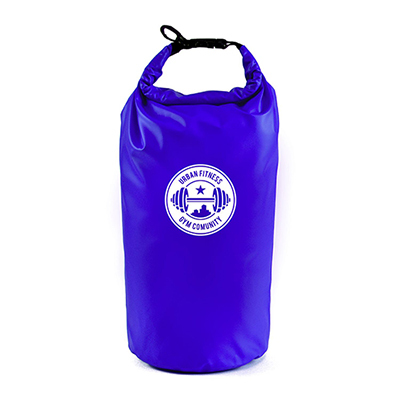 Front pouch with adjustable drawstring and squeeze-top water bottle (not imprinted). Side-zippered compartment to keep shoes. Double 20-1/2" reinforced handles. Detachable, adjustable padded 1-1/2" wide shoulder strap. 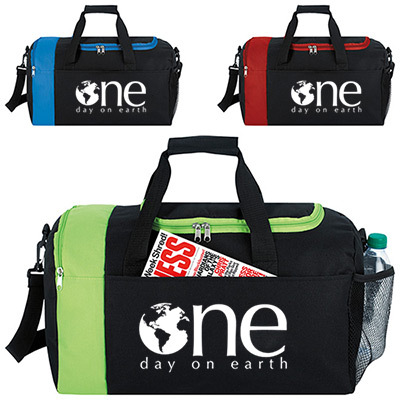 The promotional Weekender Deluxe Duffel Bag is available in 4 colors to represent your brand. It features a main zippered compartment, a front media pocket featuring an earbud port and a front mesh pocket. A zippered shoe compartment and a durable bottom board are other highlights. 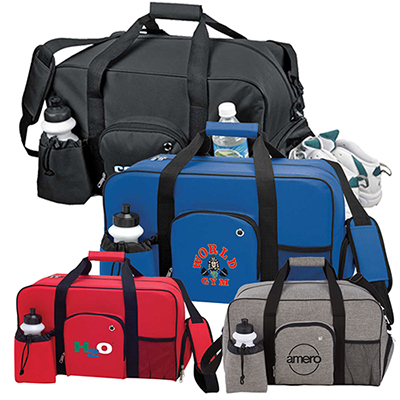 The reinforced handles and padded shoulder strap are other highlights. Place an order today! "Your customer service is great and thank your for fast shipping." "We gave these along with purchases at our store. We received huge response from customers. " "These duffel bags are ideal for my brand. " Spacious bag high on tech!